I've been doing embroidery on and off since I was a little girl, and seriously for nearly ten years. And yet, it wasn't all that long ago that I learned something mind blowing. Now it's time to pass it on to you. 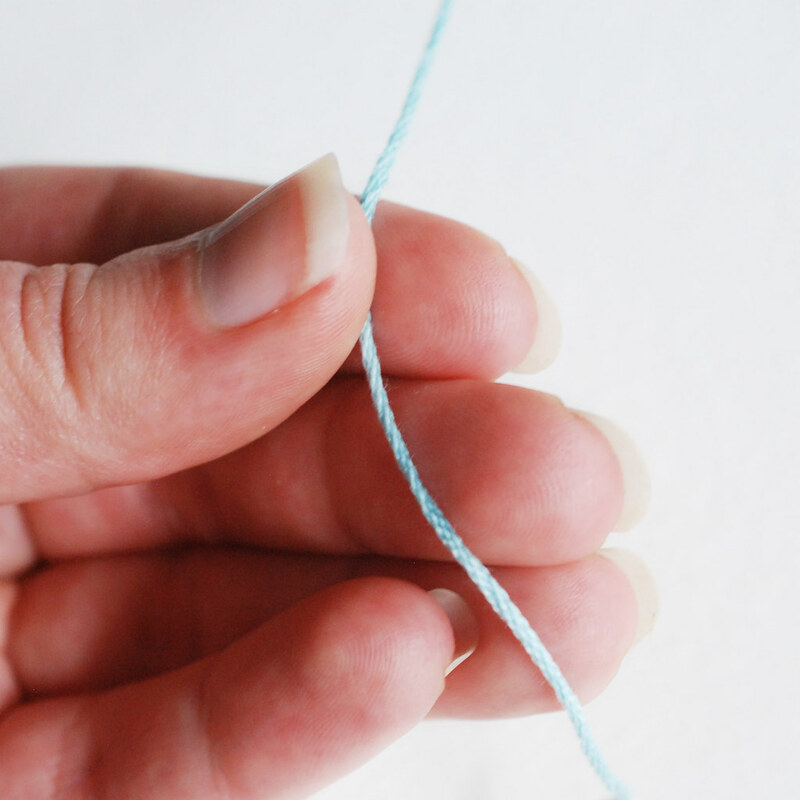 There is a right and wrong end to your embroidery floss. Embroidery floss has a "grain" to it. And for a smoother, happier embroidery experience, you should go with the grain. Threading the floss through your needle the wrong way will pull your thread against the grain, which will make the floss get roughed up. Stitching with the grain keeps it smooth. So how can you tell and make sure that you are starting with the right end? Well, usually the end that is sticking out of a skein of DMC floss will be the right end to thread. That's not always the case with all embroidery floss. To check, run the floss through your fingers, there's a subtle difference, but going with the grain will feel smoother. You'll want to pull the floss through the fabric with the grain, so thread your needle accordingly. I find that it's easiest to tell on a cut that is all six strands. After I separate the strands (when I'm doing so), I try to keep track of the "right end". Do you stitch with the grain? Were you in the dark on this fact for as long as I was? UPDATE: Mary Corbet emailed me about this topic, and has now shared her own thoughts. Read them here! A grain! Wow! Who knew? That's the first time I have ever heard that. Thank you for that tidbit. I have been stitching far longer andnever knew that As I am threading up a needle today, I will check it out. Thank you for sharing. I can't believe I never knew that! Thinking back I remember stitching a kit where some of the thread wasn't looking perfect, I thought it was poor quality thread, but maybe I was stitching against the grain! Well file that under things I never knew! Things I never even considered! Crazy, but I will make note of it next time I stitch. I do occasionally have problems with bunching thread. I had no idea!!! Thanks for the tip! It might help you if you would like to look into it further! I never knew, I have been embroidering and cross stitching since I was very little! You are correct, following the grain can really make a difference. I have a friend who toured the DMC headquarters a while ago (lucky her!) and they told her that, with the new machines, you can no longer depend on the way the skein tail appears to figure direction. That is why the skeins no longer show the helpful little hands to tell you which way to pull the floss out. You just have to feel the thread and the smooth direction is the correct one. Because of the way the floss is made, it is also the direction that is harder to thread because the end tends to fluff out more. Such is life :-). Someone already referenced Mary Corbett. 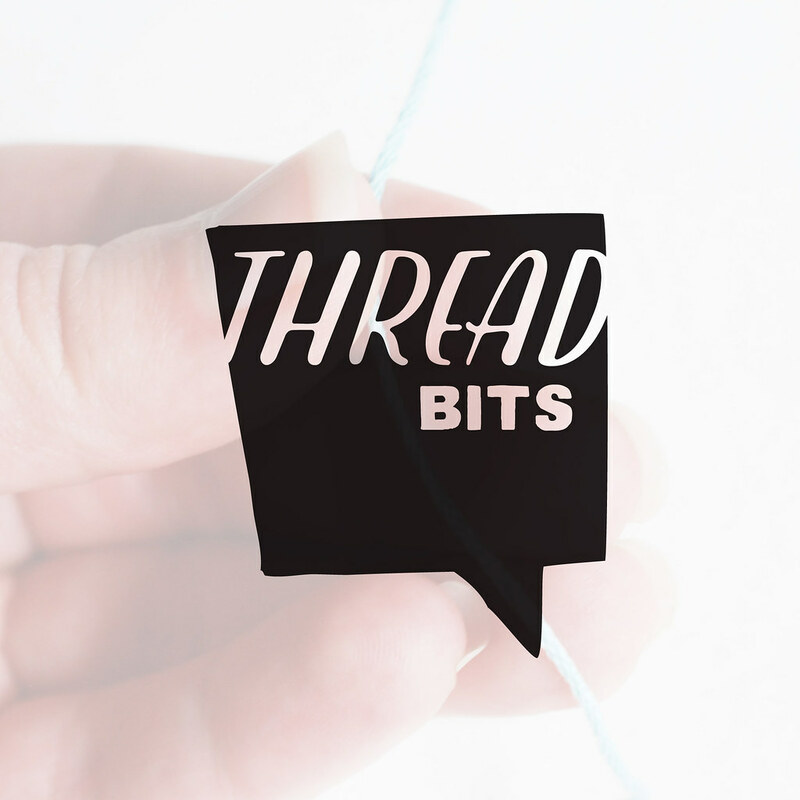 She also has a super interesting discussion of why you throw the thread in the opposite direction for a nice looking stem stitch, depending on whether the floss is silk or cotton - it has to do with the twist as well.